The third Fiendish Formations stage has been released. Today's version introduces the Wraith Assassin, which will after a countdown remove one of your pieces from the board. The target score today is 2,000 points. This step launched at 12 noon again. This seems to be the pattern and it seems that those completing previous steps after noon are no longer getting a gold tick on stages within the game - again we recommend completing steps as soon as possible as it looks as though the day of release requirement times out at noon rather than midnight. Fiendish Formations has now added a new step - Stage 2 became available appox 12 noon. If TNT sticks to this pattern, it means that new steps will be released each day for the next week. 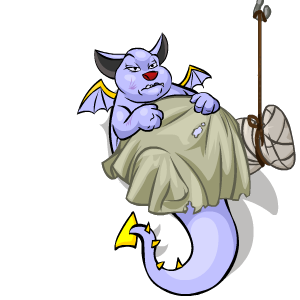 It is unclear at this point if the day of release requirement means the 24 hours between each step releasing or each Neopets day - we recommend completing each step as soon as possible, just in case. Today's target score is 1,450. It's still ten rounds, but two new unit types have appeared. In order to place them, you have to click multiple times on a square. Infantry (axes) need one click, Cavalry (arrow) require two clicks, and the Artillery (cannons) need three clicks. UPDATE: Additional steps are available. There is a new activity accessible through the table on the Headquarters page - Fiendish Formations. This is a matching game where you have to mirror the movements of the Wraith playing pieces. There is a point bonus for quick completion and an achievement for getting 1,000 points on stage 1 (the only currently available). IMPORTANT: This activity will have two achievements related to completing steps on the day of release. Our guides are updated with the new details! 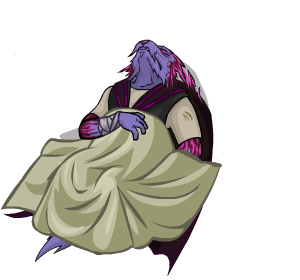 Update 7/2: New dialogue has appeared at the Infirmary and Story So Far page. It seems Malum will be the next patient for Taelia to heal. A new patient has been added to the Infirmary! Aiden the Skeith is asking for Concoctions VIII and IX (8 and 9). Again, completing the achievements requires 6 potion donations, from any combination of the two. The One of (Every) Kind achievement remains unobtainable - however, we have yet to donate Concoction X so it is possible there is another Infirmary step yet to come.